Mendocino county is one of Kathy and my favorite destinations. We started going there when Kathy was going through cancer treatments three years ago. One of our most memorable trips was a Thanksgiving trip. We usually host the family which, as you know, is a lot of work. On this particular trip we were not able to host the dinner, so we got away for a much-needed break. The Mendocino coast is a place where you can still enjoy the area without crowds. We love the dynamic locations along the coast. 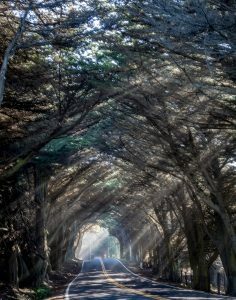 Our favorite spot, when the light and fog are just right, is the tree tunnel north of Fort Bragg. The beauty is awesome. On this particular shot we drove through as we had 100 times before but this time we saw the magnificent light rays coming through the trees. What a moment it was. We immediately stopped and soaked in the beautiful rays then started shooting with our Sony A7RII. Highway 1 goes right through the tree tunnel so be very careful when taking pics. If you’re lucky enough to be there at the right time you will definitely enjoy it. 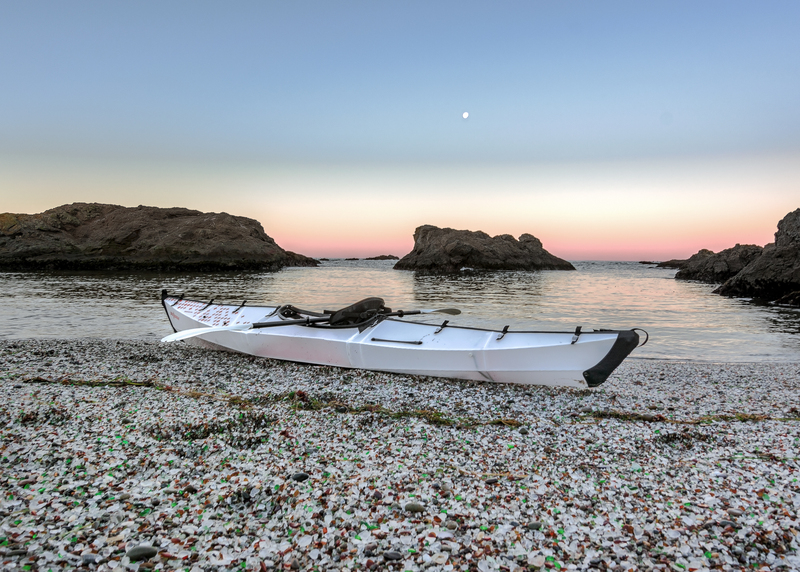 Another of our favorite locations is the classic Glass Beach. They have really developed the area making it much easier to access than in the past. The site is an old dump site in which the glass has been churned by the waves for years making a beach full of sea glass. The city’s trash turned into one of their prime tourist locations. This is a must see when in Mendocino county. The Redwoods are also nearby. I love the majestic Redwoods and the forest which offer a great location for taking pics. There are two areas that are a must see. 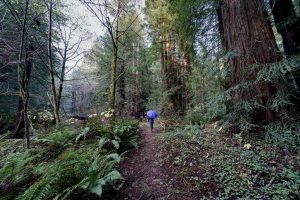 The Jackson State Forest at the south of the county and the Redwoods north of the county on the way to Leggett. If you head towards Leggett you must go by Usal Beach Campground. To get there you will take a one lane dirt road off of Highway 1. The dirt road is rough and approximately 12 miles, but the drive is well worth it. This is our Elk spotting spot. 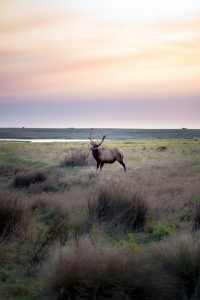 Most of the time we go there we see Elk roaming the area. The views of the Redwoods and beach are awesome. If you’re not comfortable with narrow dirt roads and hills you might skip this spot. 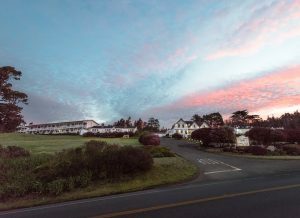 Our favorite place to stay in Mendocino County is the Little River Inn located at 7901 Shoreline Hwy, Little River, CA. The Little River In has been in business for 75 years and is family owned. Each room has dynamic ocean views. We always enjoy a breakfast brought to our room prior to hitting to road to shoot pics. When we get back we love stopping by Ole’s Whale Watch Bar to relax and enjoy some fish and chips. When it’s time for dinner we enjoy Executive Chief Marc Dym’s creative dishes. Just across the street from the Little River Inn is Van Damme State Park. This is one of my favorite Kayak spots. There is a tunnel off the coast to right that is awesome to kayak through. There is so much to do there that I can’t cover it all. The only thing I can say is head to the hidden treasures of Mendocino County and enjoy. 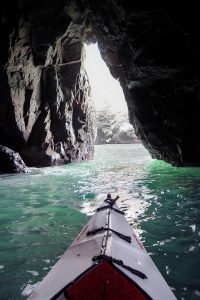 This entry was posted in Blogs and tagged adventure, beach, breast cancer, budget, California, cancer, Fort Bragg, healing, instagram, kayak, light rays, Mendocino, paradise, photography, romance, staycation, travel, tree tunnel, Usal Beach.